The traditional symbol for love and romance, grace and elegance, the Rose has long been the ideal for beauty and perfection. 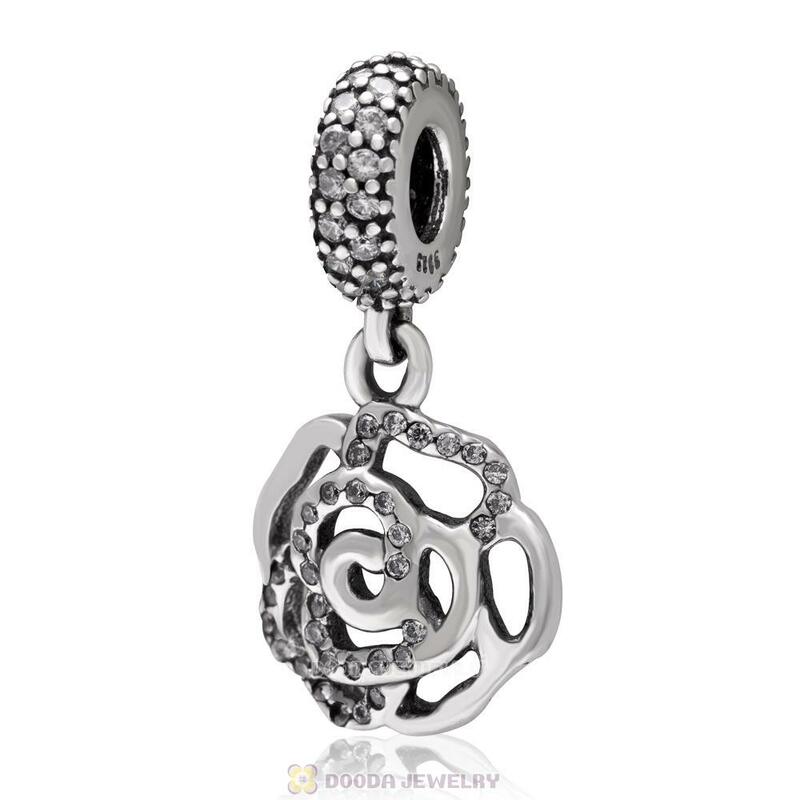 Share the flower's powerful message of affection with the stunning sterling silver Rose bead.
. Feature: Each Sterling Silver Rose Charm is made of high quality Zircon Stones and sterling silver,made by high skilled worker,Perfect processing, fit perfect on european style bracelets or necklaces.